Catherine Huntley, 43, turned to natural-cycle IVF at Create Health after being told by an IVF clinic that she would not be able to have her own child. "I tried one cycle of conventional IVF at a leading IVF unit but it was abandoned because I had high FSH and I wasn't responding to the drugs," says Catherine, a writer from north London. The doctor ruled out natural-cycle IVF as an option. 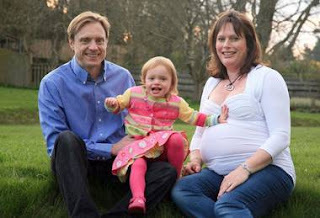 "They said it is less successful than conventional IVF, so what chance would I have? I was told my only hope for a child would be through egg donation." Huntley approached Create Health Clinic in London after reading an article about natural-cycle IVF. "At my age I had just a 5 per cent chance of a successful pregnancy," she says. "But I got pregnant after four attempts, which I thought was pretty good for someone who had been told to 'forget it'.